2. Stir together flour, baking soda, and salt in a small bowl. Also stir together buttermilk and vanilla in a separate bowl. 3. 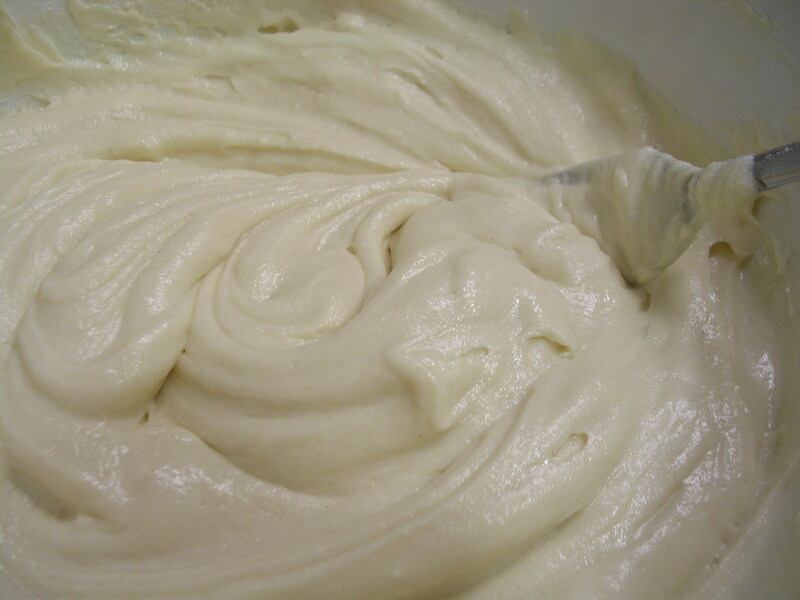 Using either an electric mixer or a fork, beat together butter and sugar in a large bowl until light and fluffy. Add egg to mixture, stir in well. 4. Add the flour mixture and buttermilk mixture in alternating portions, mixing well between each addition. Begin with and end with the flour mixture. Stir until the batter is smooth. 5. Grease baking sheets (I used foil-lined sheets, greased with butter), and drop batter 1/4 cup at a time, leaving about 2 inches between each cookie (they will spread!). I used my finger to smooth out the cookies and make them nice and round. No need to flatten them to the desired size. 6. 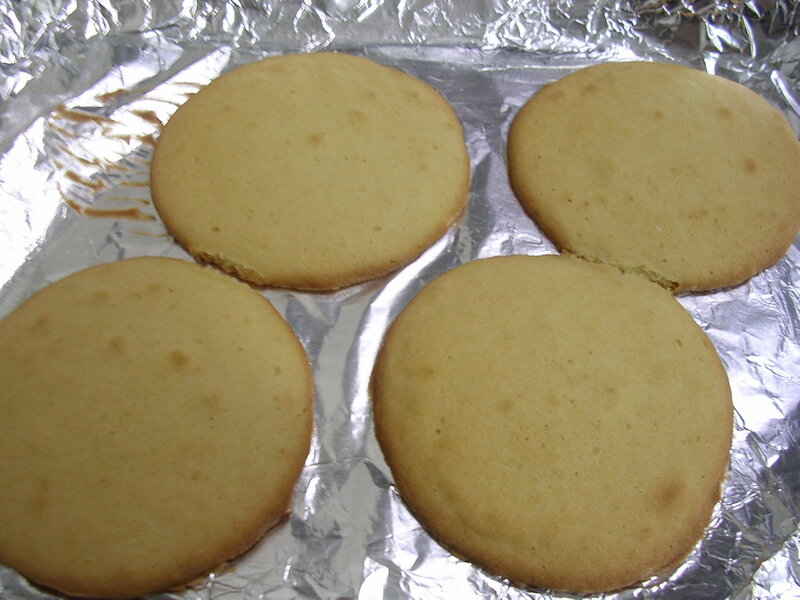 Bake at 350F until tops are puffed and golden, springing back to the touch. About 15-17 minutes. Remove with a spatula and cool on a metal rack for 15 minutes. look how big they got! 7. When cookies are about done cooling, prepare the icings. Stir together the confectioner's sugar, corn syrup, lemon juice, vanilla, and water in a small bowl until smooth. 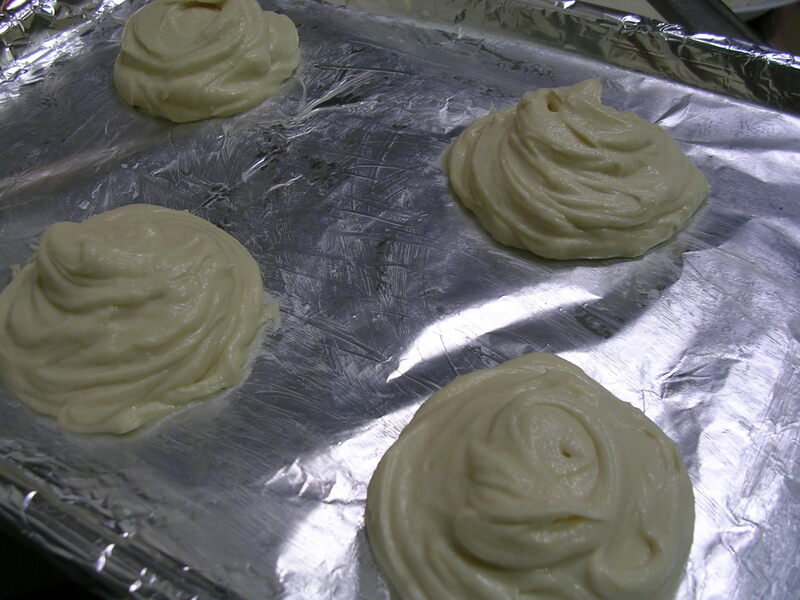 Separate out 1/2 of the icing and place in a different bowl. Add the cocoa powder to this half, and stir together, adding water as necessary to thin out the icing to its original consistency prior to splitting (add just 1/2 tsp at a time, it thins out pretty easily). Note: in following these directions I realized that after splitting the icings in half and adding the cocoa, the chocolate half bulked up to have more volume than the vanilla half, so it was not really even. I suggest splitting it 2/3 vanilla and 1/3 chocolate, then when you add the cocoa to the chocolate half it will become more or less even. I ended up having a lot more chocolate icing than vanilla). 9. 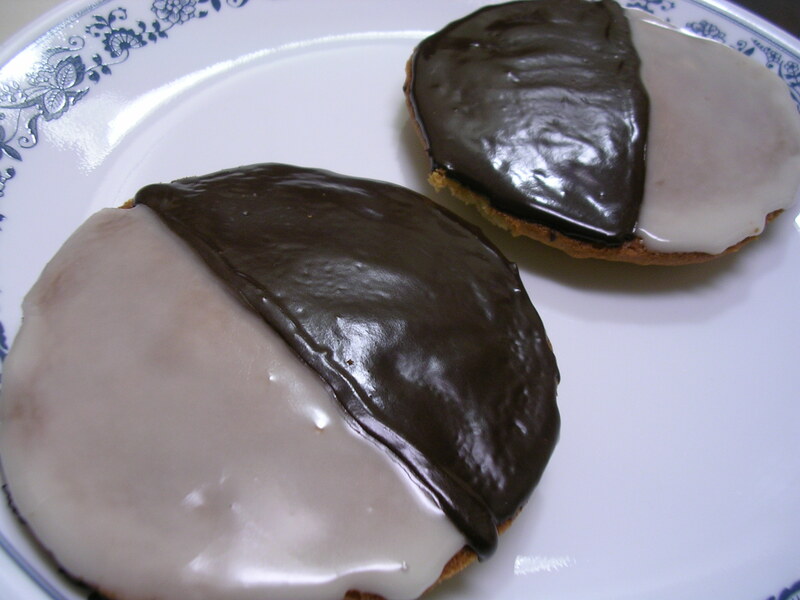 Start spreading the chocolate frosting on half of the cookie, whichever half you probably drizzled excess chocolate on while drawing that line. Gently, using the back of a spoon, push the frosting to meet the guide line, and then spread out to the rim of the cookie. Frost the chocolate half of all the cookies first. 10. 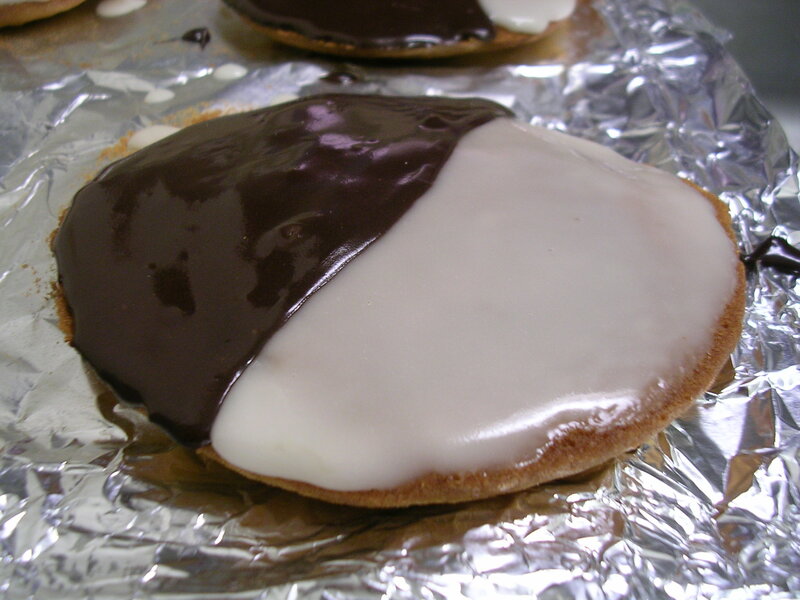 Starting back up at the first cookie you frosted, now frost the other half with the vanilla icing, again gently pushing the icing up to meet the dividing line. 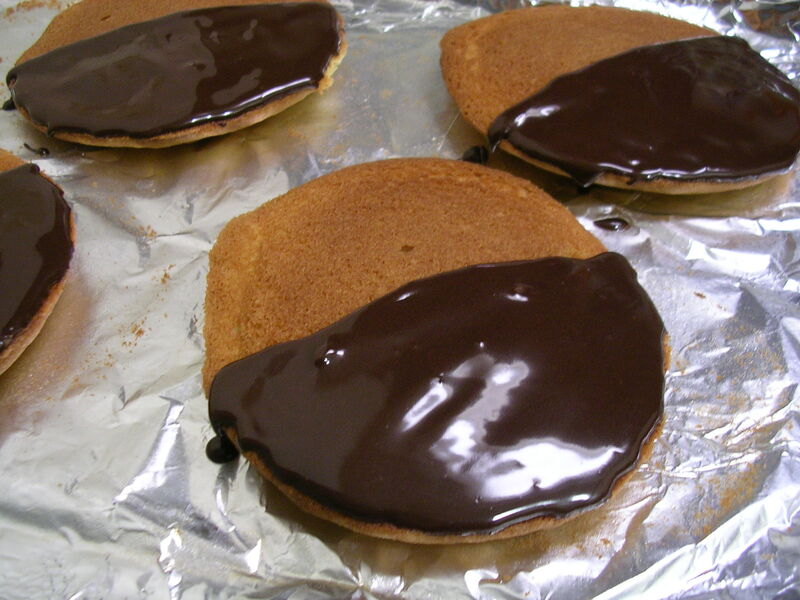 By now the chocolate divider should have firmed up enough so that you will not get any smearing into the white icing. 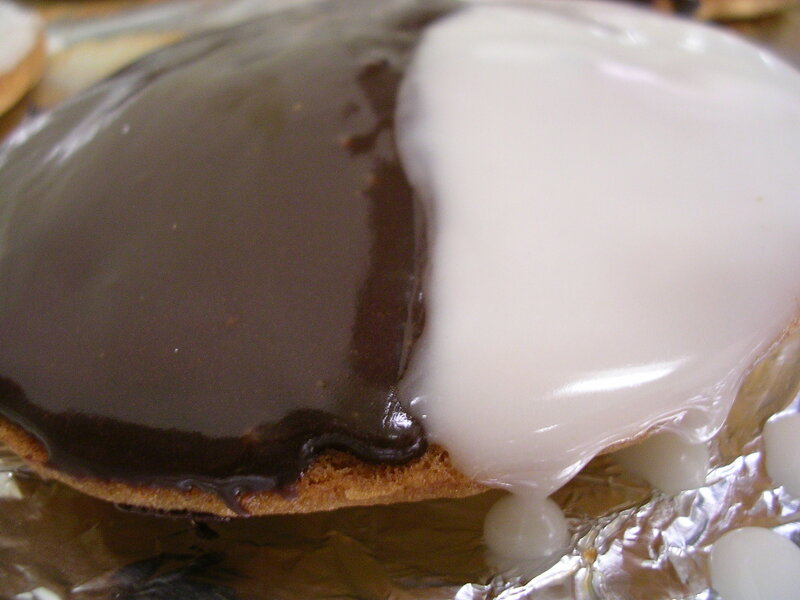 Be aware that your white icing may be too runny or translucent. 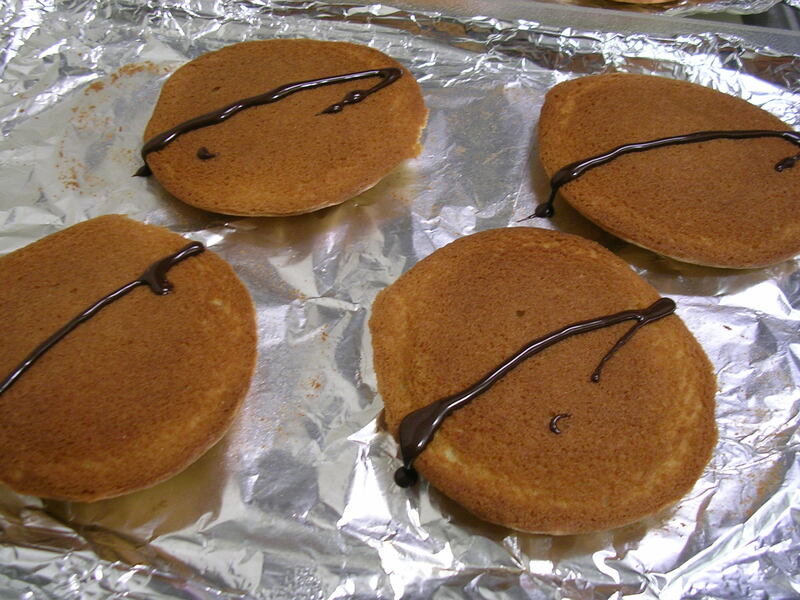 You can adjust the consistency simply by adding more confectioner's sugar if it is thin or water if it is too thick. You can also try dissolving your sugar in milk to start with, if your icing is too translucent. This entry was posted on Sunday, December 9th, 2007 at 6:27 am	and posted in American, baking, desserts, recipes, Uncategorized. You can follow any responses to this entry through the RSS 2.0 feed.